Obituary for Patrick J. Guidon | McClellan-Gariepy Funeral Home, Inc.
Cambridge-Patrick J. Guidon of Gannon Road passed away at home on Wednesday, August 15, 2018 with his loving family at his side. He was 58. Born in Cambridge on October 5, 1959, Pat was the son of Helen Louise (Ryan) Guidon and the late Thomas F. Guidon, Sr. In addition to his mother, Helen Guidon of Hoosick Falls, Pat is survived by his daughter, Bailey Guidon of Cambridge, his sister Colleen Saari (Dennis) of Shushan, his brothers Timothy Guidon (Judy Dupuis) of Cambridge and Kevin Guidon of Santa Fe, NM as well as several nieces, nephews, grand-nieces and nephews, and numerous friends. Pat is predeceased by his brothers Thomas Guidon, Jr. and Mark Guidon. Pat graduated from Cambridge Central Schools, class of 1979. He was the owner and operator of Foggy Notions in Cambridge for 40 years, which on its 25th anniversary was honored by the village with the “Key to Cambridge”. He was an avid supporter of the Cambridge community, donating annually to the various sporting teams and fundraisers within the town. In the early years of the Cambridge Christmas parade, Pat was known for playing Santa Claus, with Bailey by his side. In more recent years, he enjoyed going to his camp in Ashgrove, four-wheeling and throwing horse shoes. A committal service will be conducted on Friday, August 24, 2018 at 11:00 am in St. Patrick’s Cemetery, Cambridge. Following the service, a gathering will be held at the Cambridge American Legion Pole Barn. 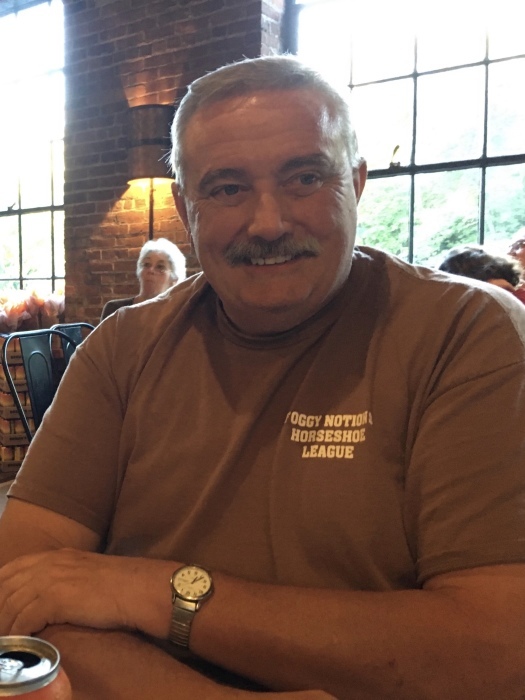 Kindly consider donations to the Northeast Kidney Foundation, 22 Colvin Avenue, Albany, NY 12206 or the Cambridge Valley Rescue Squad, 37 Gilbert St., Cambridge, NY 12816 in loving memory of Pat Guidon.